I wasn't sure whether to put this here or in the Garage Insider section. 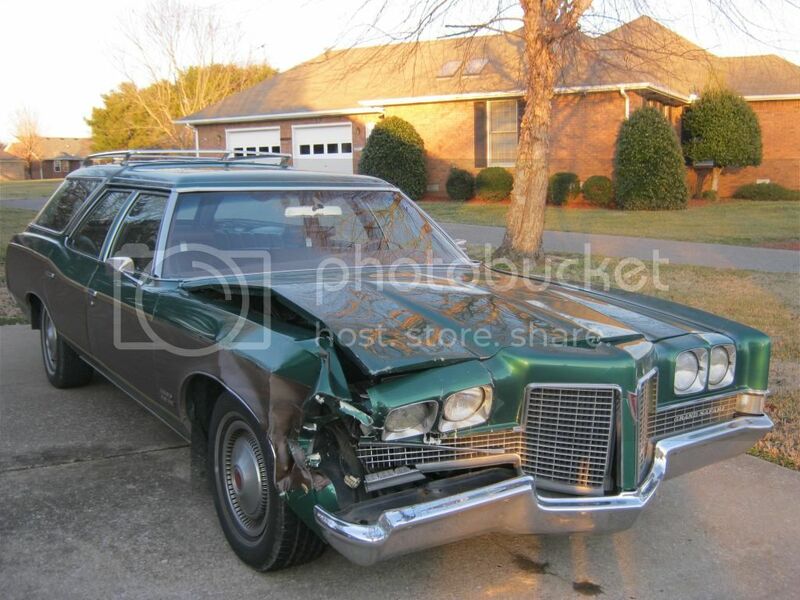 I built my family a 1971 Pontiac Grand Safari 9 passenger station wagon. It was pretty well loaded up with options and has the original 455 4 barrel. I swapped in a 700r4 and I think that figuring out the CORRECT way to connect the TV cable to a quadrajet took longer than the actual swap (slight exaggeration). I restored almost everything on this car. These wagons had the "glide away" tailgate that slid down into the body and disappeared and the glass rolled up into the roof. I restored all of that and got it working, except for the side whetherstripping, which has proved to be a very difficult process. That's what I've been working on lately. I've always loved old cars. When I was 11 years old I started saving every cent I had and when I turned 19 I bought my first old car. I then started saving again. I always waited, out of necessity, until I could get a good deal. For me, automobiles were a way to be a part of a time period I didn't get to live in. I bought a few more old cars over the years. Then I got married and unfortunately I can't afford to spend money on my old cars much anymore, only with birthday and Christmas money I save up. Good luck I hope you can get her back on the Road. Thanks! When I removed the tailgate and was cleaning out the tray where the tailgate stores when it is down I found what seemed to be a stock lodged in that area. It wouldn't come out and I finally had to get a screwdriver and hammer and hammer it out. Turned out it was a live shotgun shell covered in dirt. Interesting story and I'm sure they would have never figured out how I blew my head off. Damn ! Like you said lucky. I use to say that I would never have a station wagon. Watch what you say, now I really would like one. Haul lots of stuff. Good luck on getting your car fixed. Hey, thanks Lou! That's OK man, thanks for takin' time to read it. We're back from vacation and we don't get the Velocity channel, so now I have no way to finish the rest of the shows. 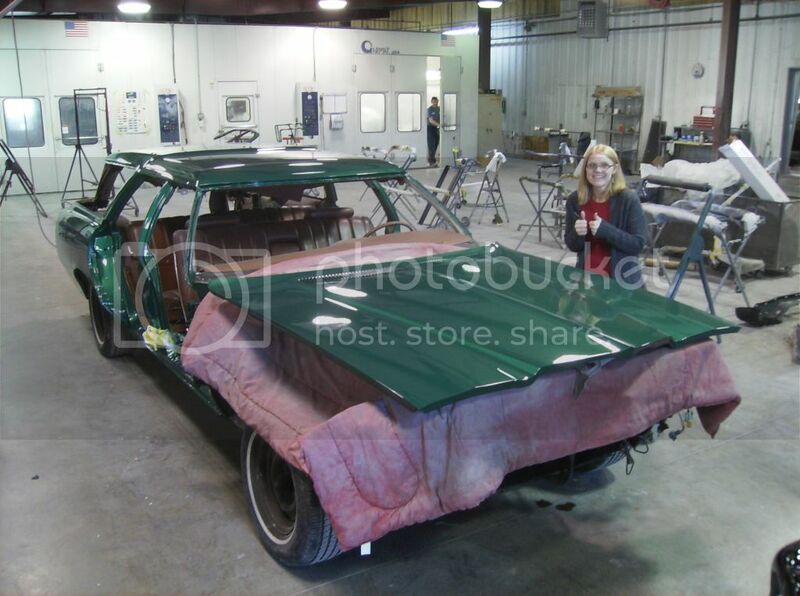 I can't believe how hard it's been finding a decently priced '71 Catalina parts car. These guys are throwing big chrome wheels on them and they think they're worth $6000. I also found out that a Bonneville and Grand Ville look the same as the Catalina and Safari, but the nose is a few inches longer on the Bonnevilles and Grand Villes. 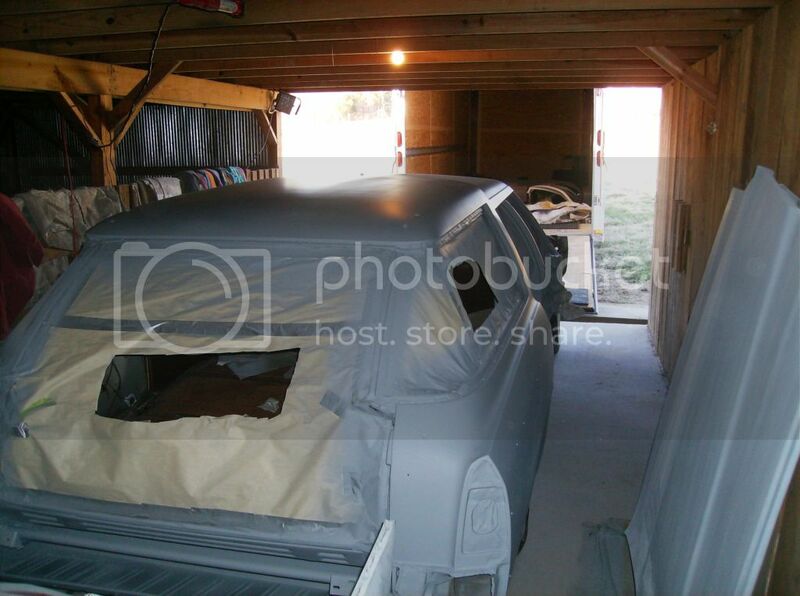 If I can get it put back together I plan on keeping it and now making it my car, since my wife has the Suburban. I need something with lots of seats! I have a new edelbrock 650 that I havent' taken out of the box yet and I hope to switch over to an electric fan and custom fan shroud. I'm hoping that'll give me the one or two more mpg I need to reach our goal of 20 mpg on the highway. I also need to rebuild the rear end, so I figured if I'm already going to do it I might as well switch out the 3.08 gears for something that would work better with the 700R4. I've been toying around but so far think a 3.73 would be best for driveability and mpg. 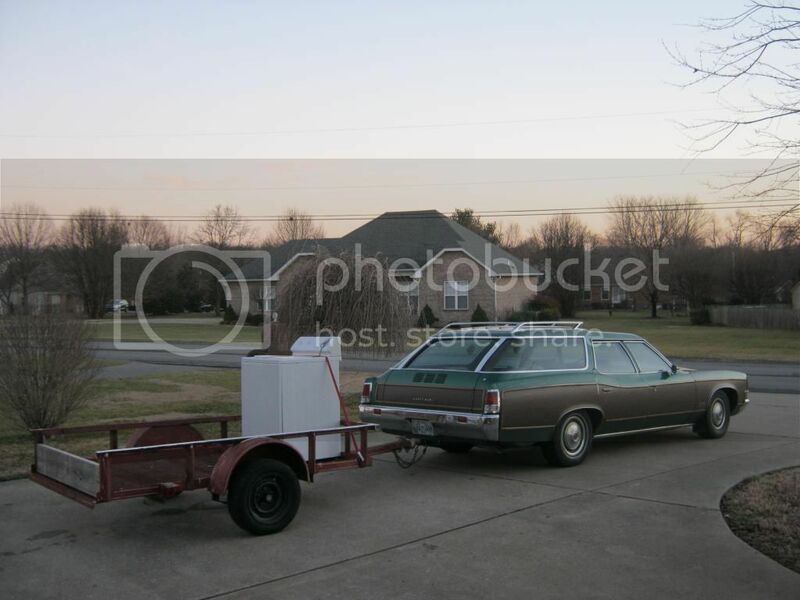 I would eventually like to haul campers and car trailers with it. Keep posting build updates if possible, I love getting a chance to read through them when I get some downtime. Last edited by Vetteman61; 08-16-2015 at 10:27 PM. What about a overdrive.? I think Gear Vendors makes one that replaces the tail shaft on your trans. I want to put an overdrive on my 85 Ford F250. The 460 does not get any mileage. (7-8). Maybe if nothing bad happens for the rest of the year. (read that expensive car repairs) Good luck. You are right about the cost of the older cars. 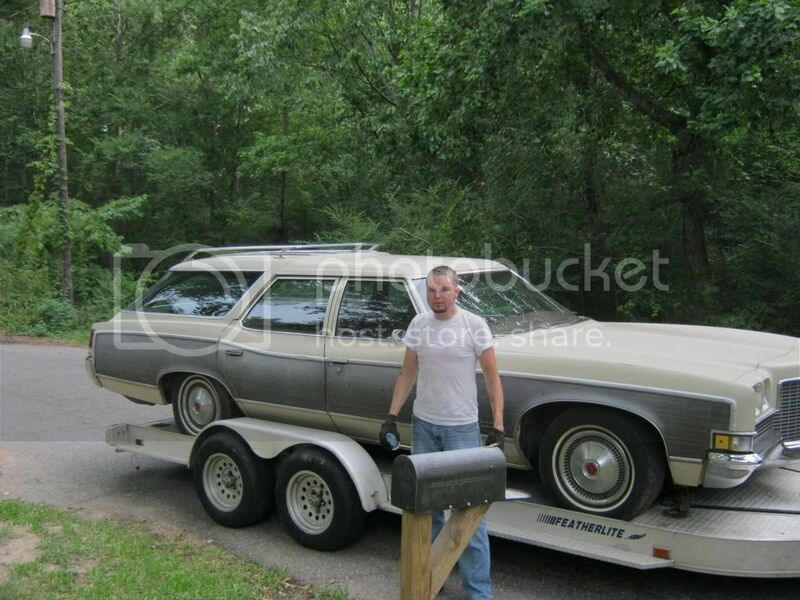 Use to be you could not give a station wagon away....ahh for the old days. I swapped the T400 out for a 700r4 a while ago.